After posting Hilfiger’s Range Rover from Platinum Motorsport, this Chevy Tahoe that belongs to Ronny Turiaf just doesnt look as good. 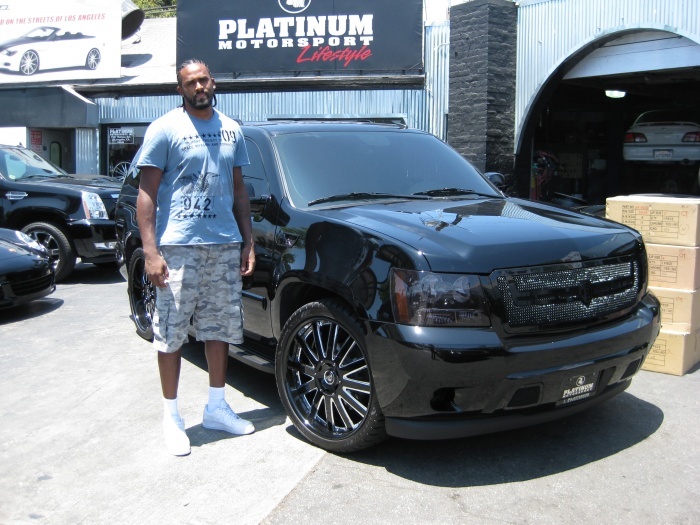 The former Laker decided to go with 24″ Agetros on his Tahoe, black face with brushed aluminum windows. I dont think the black grill does anything for this car. It would probbably look better with a chrome grill and a chrome lip on the wheels. Im not too crazy about this set up.